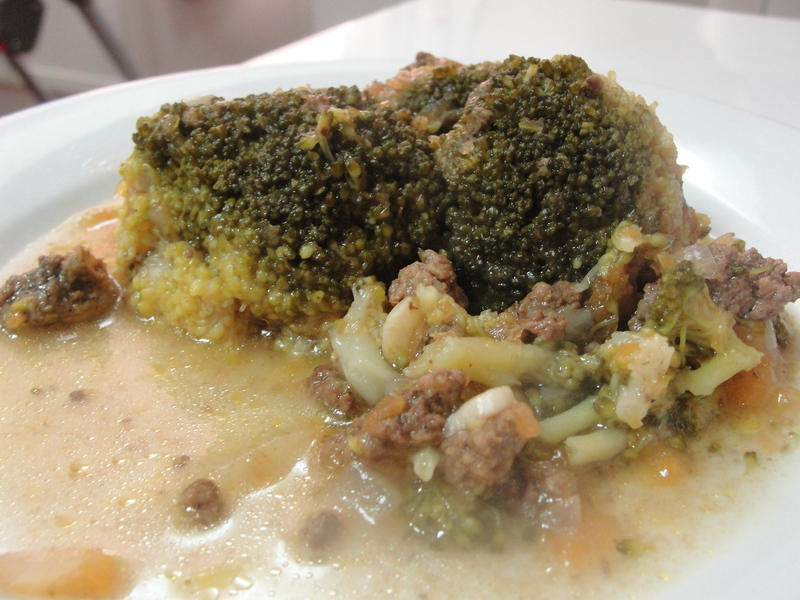 This recipe gives broccoli a whole nother taste that makes kids love to eat or at least they will not mind broccoli anymore. Go ahead try it. Boil the tomatoes in a medium-sized pot for 5-7 minutes. After this, peel the skin off and crush into a sauce. Melt Butter into a cooking pot. Add diced onion and stir until golden brown. Add garlic into the pot and stir for one minute. Add the ground beef to the pot and stir until cooked. Add salt and pepper and stir for one minute. Add broccoli to the pot. Stir the ingredients together and cook it for 30-40 minutes on a low flame. This entry was posted in Meat, Stew, Vegetables and tagged Arabic, Broccoli, Gluten Free, Low Carb, Meat, Stew, Vegetables. Bookmark the permalink.